Like your hotels super luxe, with world class spa and celebrity chef to boot? Oh hello Buckinghamshire's Stoke Park. The leafy South Bucks commuter belt loveliness of Stoke Poges is home to Stoke Park, the luxury five star hotel and country club that’s had a starring role in Goldfinger, Layer Cake and Bridget Jones’ Diary (you can stay in the room where Bridget revealed her granny pants to Daniel Cleaver if your size 14s are up to it). 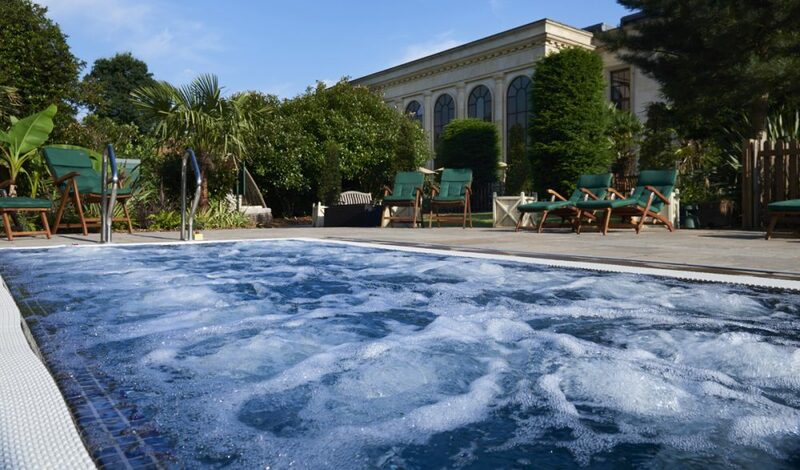 Only 10 minutes from Beaconsfield and 30 minutes from Oxford and London, Stoke Park is known for its world class spa, 3AA rosette restaurant and approachable luxury. Dating from 1790 and designed by James Wyatt (architect to George III doncha know), Stokey, as it’s locally known, passed through some hands over the centuries and at the turn of the century ended up as the UK’s first country club, with a fantastic golf course taking over much of the Humphy Repton-designed gardens and grass tennis courts that now hold The Boodles’s annual tournament (go, it’s amazing). Unashamedly luxe, but surprisingly unpretentious – staff are conscientious and friendly. The hotel does have a country-clubbish feel to it in places – a couple of the bars have wooden wall mountings of Mixed Pairs winners, that sort of thing – but in the main it just feels totally glamorous: big chandeliers, whopper windows, incredible art, the outside spa and that wonderful golf course to look out onto. 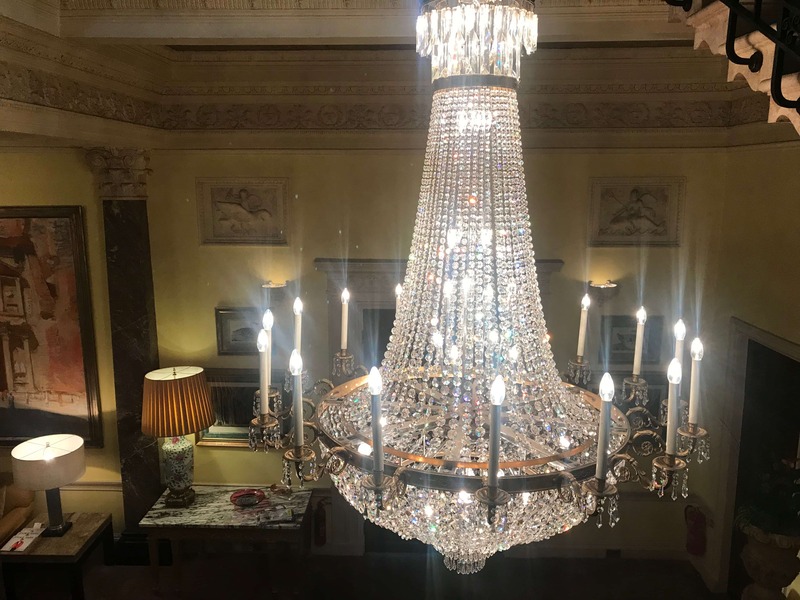 Stay in the contemporary Pavilion rooms above the spa and close to the tennis courts/ gym (they’re beautiful), or go for the grown-up glamour of The Mansion house, where you can glide down the staircase like some kind of old school starlet. 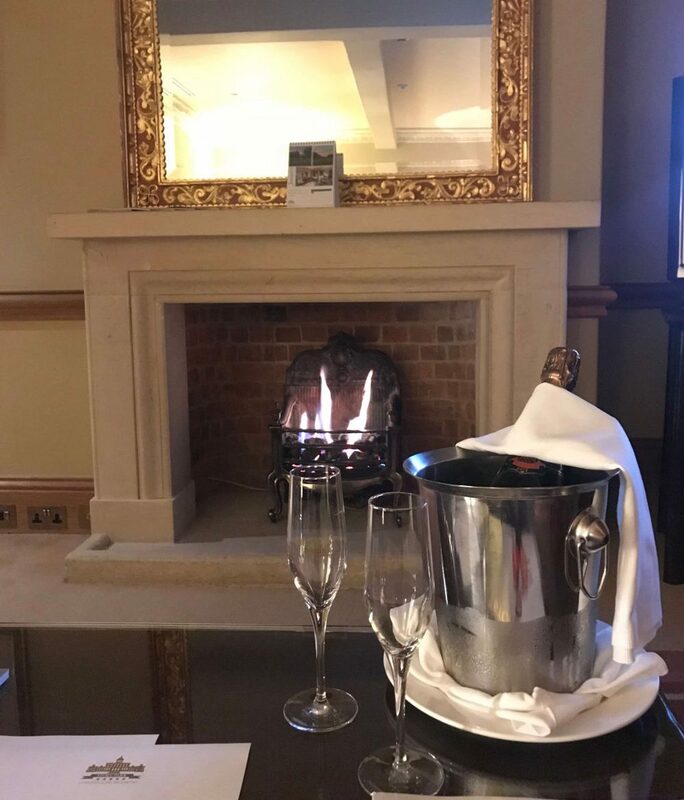 I’ve stayed in both sides of the hotel and would probably err to the modern side if I’m having a girly spa break, but for a romantic tryst or if you’re booked in to the fine dining restaurant for the evening, the Mansion house is more convenient and slightly more ‘wow’. If you can’t book Bridget Jones‘ room, you’d do worse than choose the William & Mary where I stayed. A bathroom as big as my bedroom at home and the comfiest, biggest bed evahhhh. Styling, Mansion side, is very traditional – think English country manor and it’s a bit quirky too with old fashioned keys for rooms and no elevator to the upper floors. Oooh, you’ll be spoilt. 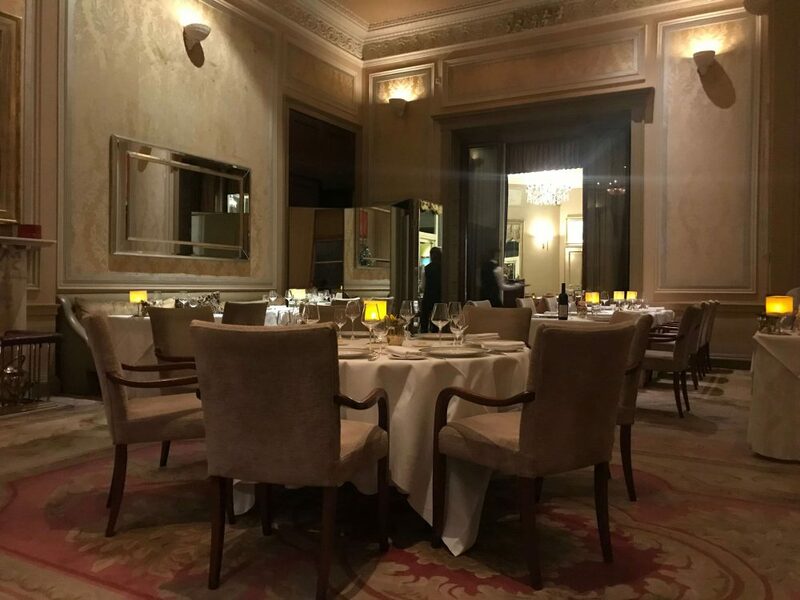 The 3AA Humphry’s restaurant with Chris Wheeler (Great British Menu alumni) as exec chef is an absolute dream to eat in – the restaurant itself is compact and attractive, with high ceilings, huge mirrors and a luxe cream colour palette. It’s not a meal worth wasting on small children (just as well as only kids 12+ can eat here), but at £68 for three courses (or a super-special V-Day four courses for £98 between Weds 14 – Sun 18 Feb), it’s good value for fine dining. If you’re bringing your children along, don’t worry, there’s a more relaxed Italian restaurant over in the Pavilion, ideal for families, light lunches and killer breakfasts. Love your afternoon teas? 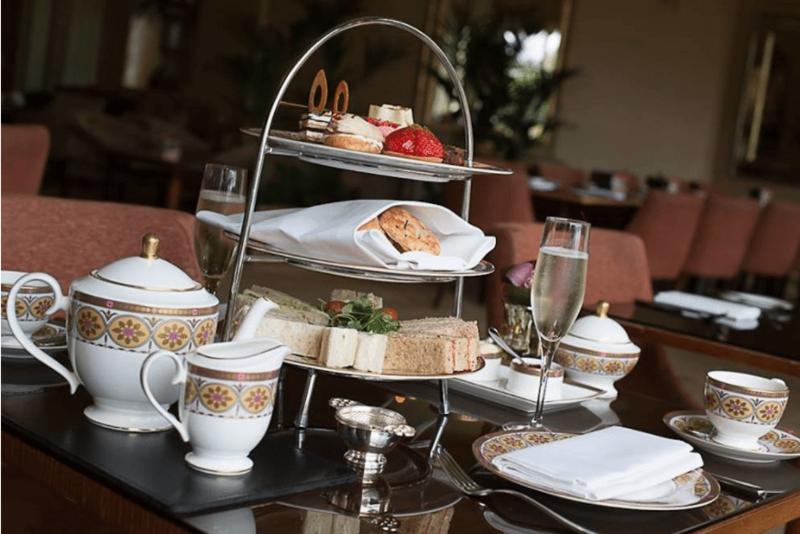 The orangerie will sort you out good and proper – they do special afternoon teas for families. 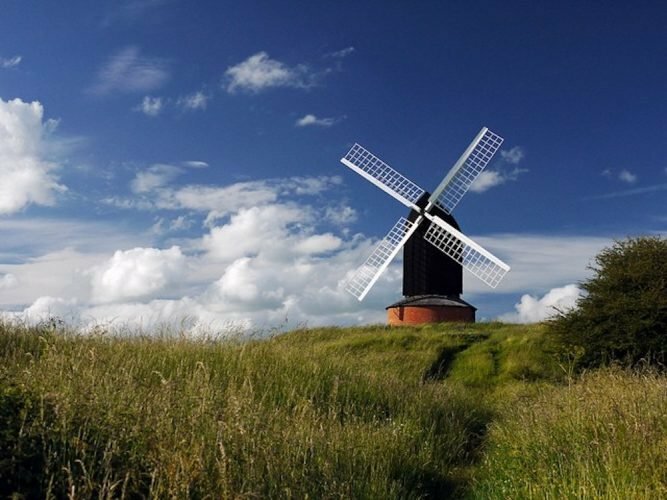 It’s perfectly possible to spend your whole time dipping between spa pool, tennis courts, golf lessons, gym, walks around the grounds and the restaurants but if you want to go further afield, you’re 10 minute drive from the stunning Burnham Beeches nature reserve – you can spend hours happily walking there, and there’s a cafe too if you want to refuel. Black Park is also close, with a more organised offering for smaller kids (a huuuuge playground), bike hire and a pretty lake to walk around. Your nearest chichi shopping destination is Beaconsfield. Good for: Luxury lovers; girly nights away; romantic special occasions. Frankly my dear, you’re in for a treat. Not for: Budget seekers – it’s good value for the quality but bargain basement it ain’t. The sedate country club vibe might not suit everyone. 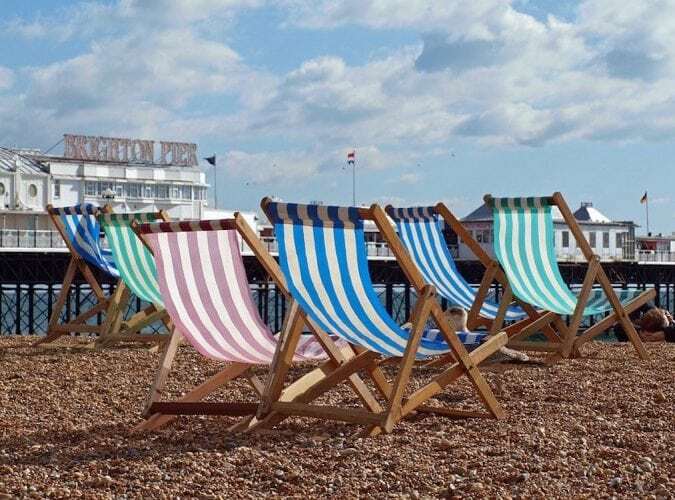 £££: Rooms from £290 per night. 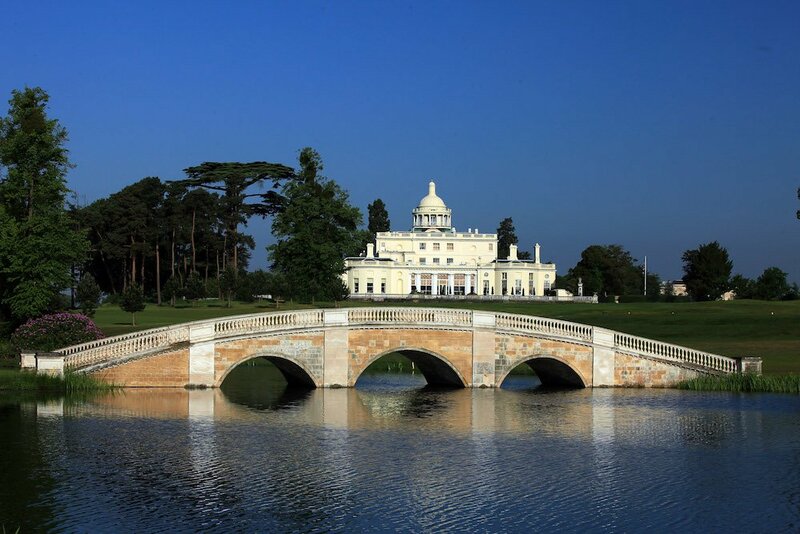 Stoke Park, Park Road, Stoke Poges, Bucks, SL2 4PG. 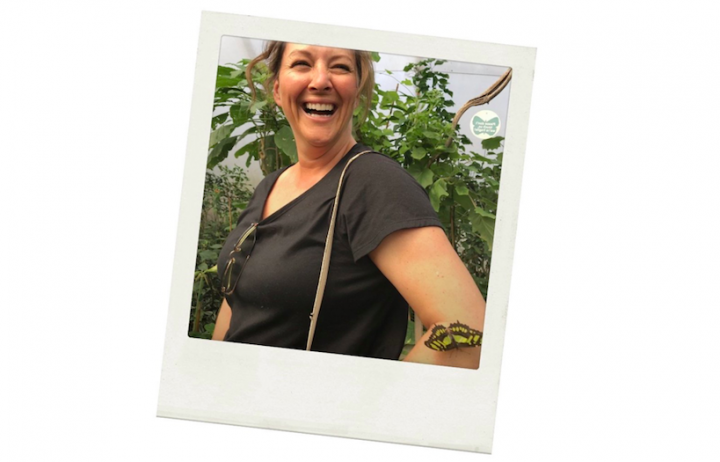 Looking for somewhere to stay? Read more reviews.